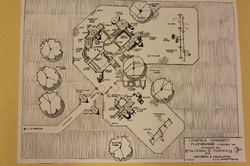 In May 2012 the idea of the Litchfield Community Built Playground was presented to the Litchfield City Council. The council supported the idea and asked that a steering committee be formed and that the group find support in the community. In the summer of 2012, almost 400 people signed a petition in support of the playground and the Lake Ripley Improvement Association and the Kiwanis pledged $4,000 between them towards the project. Then, in September the steering committee went back to the city council with the petition, the pledge of money, and the exciting idea of a new park. The city council agreed that if the committee could raise $75,000 by April 2013, then they would match it with $70,000. After the city council's approval, LCBP hosted a Design Day (see Events tab above) where a professional playground designer visited with Litchfield students and got their input about the park. The exciting day culminated with a Community Celebration where the initial schematic was presented alongside cake, face painting, and music. The end result was a one-of-a-kind playground inspired by Litchfield's kids and highlighting Litchfield's identity. Since November 2012, the LCBP steering committee has been fund raising, volunteer recruiting, and hosting fun community events in support of the Litchfield Community Built Playground. Up next is the build which will happen over five days and require several hundred volunteers! By the end, Litchfield will not only have a new, amazing playground but a regional draw and a lasting testament to the spirit of community in our great town!